We are engaged in manufacturing, supplying and distributing DVP-EH2 Extendable Multi function MPU. These series are well equipped with outstanding operational speed, large programming capacity and built in application and communication instructions, multiple special extension modules and function cards, enabling the efficiency of the MPU to be utilized to its fullness. We are engaged in the fabricating, distributing and supplying product of DVP-SV Multi Function MPU, which has high speed extension interface on SV series. The system has the supporting feature to get connected to all kinds of network interfaces. 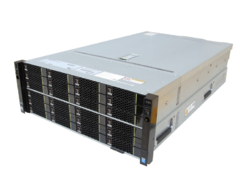 Hence, it can perform its function at a very high speed as it is built with 4 groups of hardware. 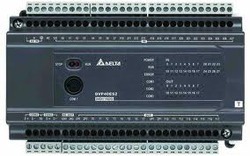 We are engaged in developing Programmable Logic Controller. These comprise of an in-built 200KHz high speed counter. It also provides 200KHz pulse output. Moreover, it produces accurate outcomes related to its function with varied extension of 16K steps program memory. Support multiple function card, including digital/analog/communication/memory backup/display unit. 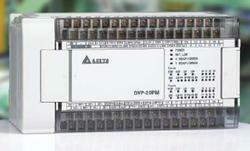 Looking for PLC Extendable Series System ?